A key specialty of Dunlap Property Group is the successful rehabilitation of both apartment communities and commercial complexes. 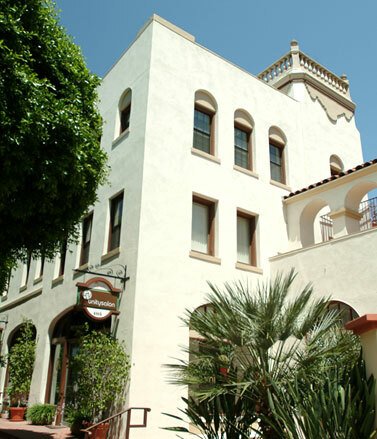 A prime example of our unique skill and expertise is the redevelopment of the historic California Hotel, also known as Villa Del Sol, in Fullerton. Once a beautiful example of classic Spanish Colonial architecture, Villa Del Sol had fallen into disrepair, but remained an untapped source of potential commercial value – if it could be skillfully rehabilitated. We accomplished this task, including the restoration of much of the stylish exterior detailing, transforming the building into a 37,000 square foot commercial and office complex that serves as the cornerstone of downtown Fullerton. We are well-recognized property redevelopment experts with a proven track record of identifying and creating value opportunities for our investor clients. Our team of professionals is known for its attention to detail, efficiency, economy and skill – qualities common to all of our projects.